The inventory control sheet template from Microsoft provides an all-in-one solution for staying on top of inventory responsibilities. The inventory control sheet template is available as a free, instant download right here on this page. After downloading, the template is ready to use right away. Continue reading to learn how to use the inventory control sheet in your office today! The inventory control sheet template comes in the form of a Microsoft Excel spreadsheet. After downloading the inventory control sheet, be sure to save a blank copy in an easily accessible place for future use. When going over the inventory control sheet for the first time, keep in mind that all aspects of the form are customizable. You can alter and tweak the document so that it may better fit the needs of your company. The primary purpose of the inventory control sheet is to record the inventory numbers of given parts or items. 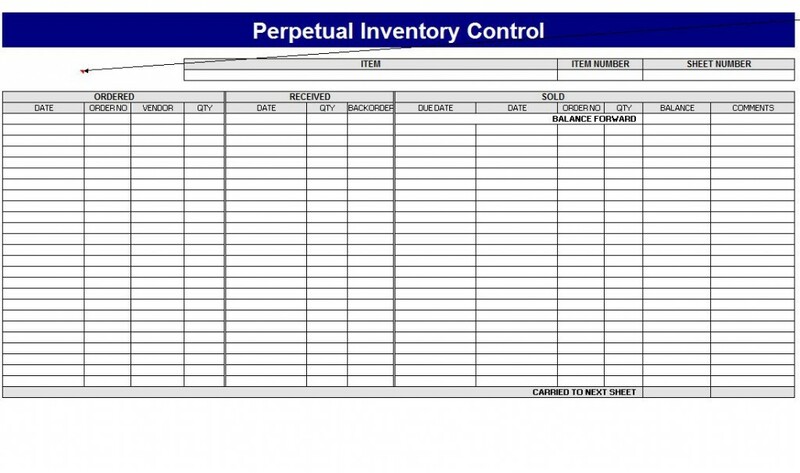 The inventory control sheet template contains very few formulas, meaning it can either be used on your computer or other internet device, or you can print it off and fill it in by hand. Within each main category is where you will denote inventory totals. For example, within the “Ordered” category you will list the date, order number, vendor (if applicable) and the quantity. This straightforward inventory control sheet template should be very easy to navigate for anyone that’s ever performed any type of inventory duties. Get the Inventory Control Sheets for Free Today! Keeping track of your inventory is a key component of running a successful business. Make this task easier with the inventory control sheet template from Microsoft. Feel free to use the inventory control sheet in conjunction with any of our other helpful templates, calculators and spreadsheets. All items are instantly downloadable and completely complimentary courtesy of ExcelTemplates.net! its really nice, you have made my day.